I will be posting a sketch, sometimes with no rules and sometimes they'll be colours, themes or something extra to make it a little more interesting! What Is A Scrapbooking Sketch? 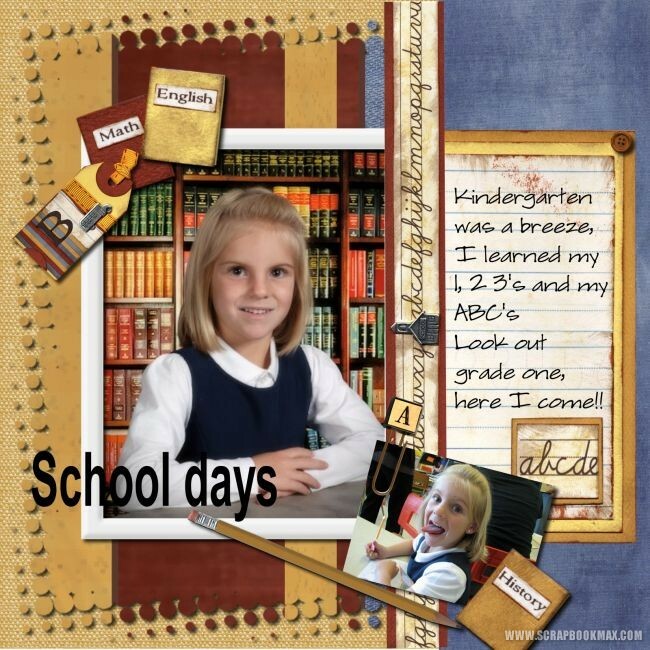 A scrapbooking sketch is a drawing of an idea for a page or layout. 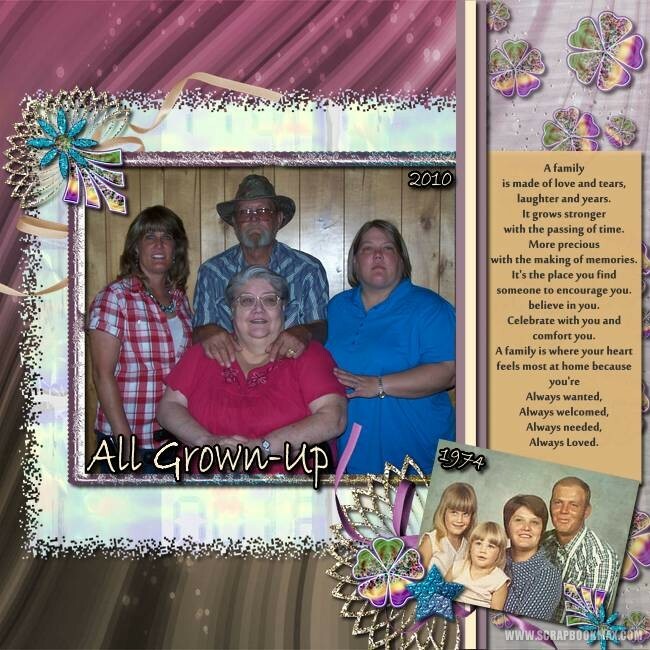 The sketch presents a proposed placement of photos and embellishments on a scrapbook page. Scrapbooking sketches are intended as a guide or a starting point for you to create your own page. Sometimes a particular sketch idea will not work exactly for your photos and available embellishments. Perhaps your photos are landscape instead of portrait, maybe you don’t have exactly the right embellishments or perhaps you don’t like to journal on your pages. This doesn’t mean you can’t use the sketch idea. It simply means you have to be a little creative! One question, are we to use only stuff from SBM to make our layouts? Wow, Am I actually the first one to post a LO for the mid month challenge?? Cool Love the layout idea, thanks for the inspiration!! 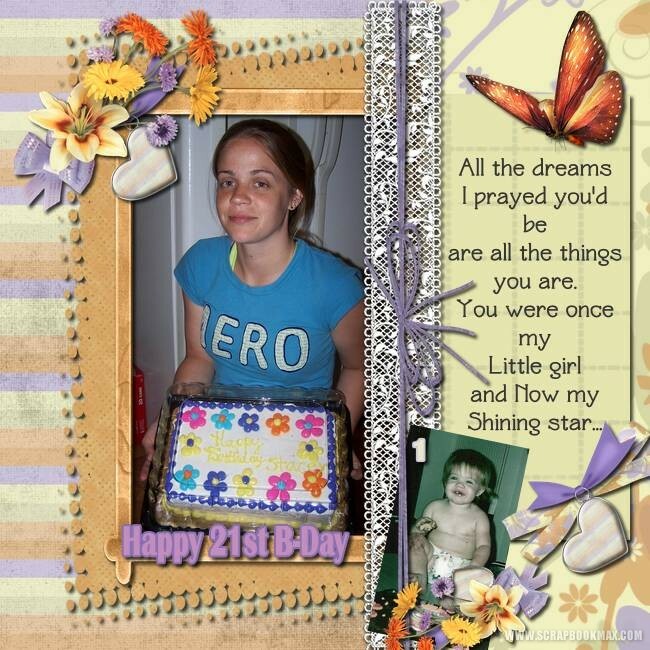 I love to scraplift. It's the biggest battle, trying to get just the right lo for your photo. This one turned out a bit busy, but I'll try another one later during the week. Great challenge by the way! Oh I tried to get color swatch one and three, but couldn't get it quite exactly to match.. but I think it's close. Last edited by ksd_24_f; 07-14-2010, 08:10 PM. Thanks - Linda, I love the way yours turned out too - so cool that we can use the same sketch and make totally different Lo's eh?! Love Scrapbooking You have some really nice one's in the gallery too - the one of Chloe is darling! Love your Layout Kel and Linda.... Great Job!!! Thanks Fiona for another Great Challenge to Play with and practice the lift tech.!!!! Another all done with Wolvsie's Stand By Me Kit!!!! The Colors are Almost a Perfect Match!!! Great layouts all, and Kimmyann, we must be on the same page as I had marked down Michelle's Stand By Me kit to use too. LOL......Makeyesup, sorry!!! When I saw the Color Swatch, I thought that was a pretty close match to Stand By Me..... so I compared and Yep!!! But I know your Page will be totally different from mine, even if we did use the same kit and the same Lift Idea!!! Great pages everyone. Love this challenge!! Credits are in the gallery. Great pages Kimmy and Dille. Everyone's pages are so different using the same Sketch. Awesome.